Prospect Park has confirmed to Backstage the acting tradepaper and their online platform, that Alison Goodman has been named the Casting Director for One Life to Live and All My Children. However, the company declined to comment any further. With productions ramping up for a projected start in February in the soap operas new studios in Stamford Connecticut, Goodman is geographically desirable as an east coast based casting director with offices in New York City. Some of the series Goodman has held casting duties have included: Suits, Guiding Light, Third Watch, and Law & Order Special Victims Unit. So as the casting director for the upcoming One Life to Live and All My Children reboot’s, who would you like to see Alison cast on the soaps? What do you think of the news of an official casting director being named by Prospect Park? Let us know your thoughts! Downton Abbey Updates: Maggie Smith Confirmed For Season Four! Will Continue Delayed Broadcasts In The States! I would love to see Martha Byrne cast on either OLTL or AMC. Martha is a 2 time Emmy winner and I think she would be a great addition to either show. Prospect Park needs as much support as they can get and Martha would bring alot of the P&G soap fanbase with her to Prospect Park. Cast Martha Byrne! I agree Enrique! I hope they get as many of the original cast back for both shows as they can. I just thing Martha Byrne would be a great addition to either cast as maybe a new character or to take the place of someone they can’t sign. The shows wouldn’t be the same without the same actors but I think adding some from ATWT and GL would bring in a whole new set of viewers! Martha could be a recast Cecily Davidson Brent and come back with Charlie and their 20something child. Charlie could be cast with Jon Hensley if he’s not on B&B still or even the guy who played Jack on ATWT. I want Hillary B Smith, Robert S Woods, Kassie DePaiva, and Erika Slezak! Andrea, you nailed it with those you listed. Absolutely, we need all four back! Andrea, I totally agree with your choices!! Isn’t Hillary on B&B?? Hillary was on the B&B but her character has not been on the show for months. I want Susan Lucci and Walt Willey on AMC! Think the diehard viewers would like to see my character Brian Bodine on the AMC canvas? I would LOVE to see you and any of the other actors from way back when make a come back. The more the merrier! I think Cythia Watros would be a good Tina on one life to live! I think Cythia Watros is a great actress and would love to see her on OLTL but not as Tina–Andrea Evans is and forever will be Tina Lord Roberts!! !Would love to see her return! I agree with Mike T…Andrea Evans as Tina all the way! I would love to see some of the GL & ATWT actors get on board. I would love to see Opal, Erica, Jackson, Kendall on AMC. I don’t think as pretty as Cara is that she is a core player and David needs some strong characters. AMC has to cut some characters and I would say sadly the police officers, Krystal, Michael Nouri’s characters, some of the peripheral Hubbard friends and family should be writen out to save money. Someone has to o sadly. I agree, but I want Tadd Martin. The show needs at least one member of the Martin family and also the Tadd and Opal dynamic. is enduring. Casting coup i’d love to see: now that Robin Strasser will be back as Dorian…and we know via General Hospital that there are plans for a Vickerman II, they should actually bring on Mia Korf (as Vickerman’s Blair Cramer) as herself! 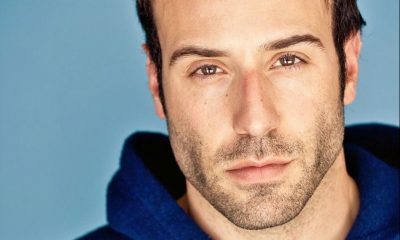 Great opportunity for Dan Gauthier to be back as Kevin as well as other actors that fans love but Frons/ABC had issues with like Cat Hickland, all the Gannons, James De Paiva, Laura Koffman, Brett Claywell and Scott Evans. I feel Joey should be back and i’d be okay if it was Tom Degnan (i thought the actor himself was decent enough but the writing/stories for Joey in his last return was what fizzled) but i’d be even more thrilled if they brought back Chris McKenna. I also wouldn’t mind seeing Erin Torpey reclaim Jess if Bree Williamson couldn’t do it. I also would like David Chisum back as Miles Laurence; it was way too odd that Miles wasn’t even REFERENCED at all during Mitch’s last returns and he could fill in some blanks. I kind of envisioned the debut episode using the narrative of Viki writing a letter to an old friend filling them in on everything that’s been going on in Llanview as of late – and perhaps that may be a great opportunity for a cameo from Marilyn Chris as Wanda Wolek or Michael Storms as Larry Wolek. As for new roles: Max and Luna’s children and CJ Roberts. I loved Dan Gauthier’s Kevin Buchanan. I would also LOVE to have Tuc Watkins. David Vickers Buchanan is pretty much tied to every major character in some way. 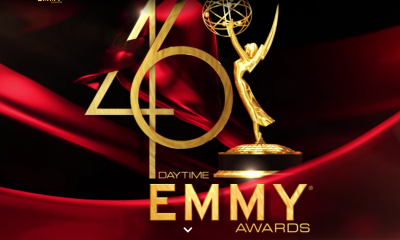 i want to see slezak as viki woods as bo smith as nora archer as natalie depaiva as blair watkins as david alderson kids as starr and matthew easton as john mcbain howarth as todd all back on oltl…. We need Erika Slezak and Susan Lucci on these shows. Loyal as they are to Agnes Nixon I hope she can get therm back onboard. They ARE these two shows. I would like to see Tad,Erika, J.R.,Adam, Brooke, the original Bianca,Opal,Annie,…….I want everyone back in Pine Valley!!!!!!! It won’t be OLTL without Erika Slezak. Hope to see Trevor St. John, Florencia Lozano, Kassie DePaiva, Melissa Archer, Bree Williamson, Sean Ringgold, Shenell Edmonds, Robert Woods, Please just bring back everyone who was on the show when it ended! They are old senior citizens and if they looking for new viewers they will need young cast members, also.. The casting has to be for people from this generation along with the older or grabbing new viewers, the ones who use on-line to view their shows etc they will need younger actors.. I loved Alex. She was mean and funny and more interesting than anybody else. I watched her with my mom into my twenties. She needs to be back on. I say, please cast original actors from all the core families of AMC and OLTL. That means Martins, Kanes, Hubbards, and Buchanans,Lords, and Cramers! Re: AMC – Bring back the core families for starters – the Martins, the Chandlers, the Kane women – and I will come. Make the writing and the story telling rich, keep it character-centered and keep the characters consistent, bring in new characters when it will enhance the plot, not dilute it….and I will stay. I can’t wait to watch AMC and OLTL again. I have 1 concern, will it be available to Canadians? Todd, John, Starr, and et al need to go back to Llanview!! 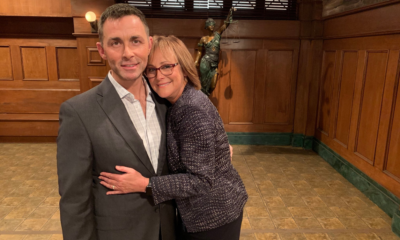 OLTL will not be the same without them…. My short list for AMC; Michael E. Knight, David Canary, Walt Willey, Susan Lucci, Ricky Paul-Goldin…on & on. There have been so many wonderful actors on various soaps over the years, but I want to see the actors who were on these shows when they went off the air back first and foremost. IF there are gaps, then I would want to see others added. It takes time to establish a show (or in this case, re-establish) and I’d hate to see a lot of new faces distract from us getting to find out what has happened to our favorites in the year+ they were off the air. ~ I am so looking forward to this!!! I agree with you 100%. This has to happen IMO for this venture to be successful. I can’t wait!! My list is so long but here it goes….first, Erika Slezak, Robin Strasser,Kassie DePaiva, Melissa Archer,Bree Williamson, Robert S Woods,Trevor St. John, and of course Florencia Lozano. Just bring all the families back. I miss them all. Trevor St John…absolutely love him!!!! Definitely need him back on OLTL…there is no one eke who could be cast as Victor Lord! For AMC as many of the ones that were there when they aired the final episode..and would like to see some old charactors from the past come back such as Gloria, Dimetre. Any way to bring Jillian and Edmund back to life. Also, Aiden Devane. I know we all have our fan favourites but realisticall the cast has to be cut. They are only half hour shows no plus the budget is slashed to probably less than half. So sadly it is not realistic to bring back past characters who weren’t on at the end – there is no money or time.. David Canary has retired so at best he should be a guest character for AMC. I would suggest the casting director should really think carefully about who they ask back – their history, relationship with other charactes and such. Cara would not be one of my first for AMC. Yes, her and her brother are amazing looking but that isn’t everything. They don’t have a real rich history on AMC. Tad and Erica are kind of the anchors for AMC as is Vicki, Dorian and Clint for OLTL. Yes, you want new viewers but they are such strong characters you’d think they would at the least be supporting characters. Sleazak and Lucci are really key. They may be “old” but they are special – a rarity on any show. Lucci in particular and they truly are the roots of the show and brand. I hope the producers realize this. And not to be rude, who do you think the media will pick up interest on Lindsey Hartly (not to be disrespectful to the actress) or Susan Lucci or Erika Sleazak. Lucci is oddly enough for a daytime star big enough to garner attention even for Deadly Affairs and Devious Maids. The run time of the soaps is now around 30 minutes.. It is all the network commercials (that are not on the web) that make the time one hour.. I watch my soaps on line and running time is about 36 mins and that includes the web commercials. Another side point, interesting that there is more interest on these forums with the “more mature” characters in general. Tad and heck even Jake and them aren’t necessarily the super young starlets and studs like on BB or DOOL. Even Cameron Mathison isn’t super young. Most coming back are older senior citizens and if they looking for new viewers they will need young cast members, also.. This generation of on-line watchers, are younger people and both soaps will need at least half the cast younger people. if PP is to get the newer gen intrested. I definitely want Christina Bennett Lind (Bianca) and Sarah Glendening (Marissa) back on AMC. Their relationship drove a large segment of people, admittedly lesbian, but others too to AMC toward the end. Plus, Bianca is an integral character to the show. I would also like to see Alicia Minshew (Kendall) and Susan Lucci (Erica) on the show. That family is central to that show. OLTL is going to need another leading man since Victor, Todd and John are gone. I say bring back James DePaiva as Max Holden and hook him up with Tea or Blair. Max also has 2 children that would be in their 20’s that could fill the younger void left with Starr gone. Have Dani (Tea’s daughter) dating Max’s son and they meet in college. Matthew can be recast and be with Destiny still and their baby. Also Tonja Walker needs to totally be back as Alex and keep her 2 kids Cutter and “Aubrey” Kim and they could be recast. Oh, totally agree, bring back James DePaiva. Also agree with bringing Alex back, she’s a real kick. OLTL shouldve never been canceled with its ratings rising near the end. It was gaing back an audience which is proof enough people still want these types of shows. Its great the show is returning but being online i hope it works out. It should with so many fans cheering its return. But what if some fans dont like what they see and start tuning back out. Prospect Park might drop AMC and OLTL if it doesnt meet their expectations. I hope they succeed because OLTL had become my favorite series before it left the air.